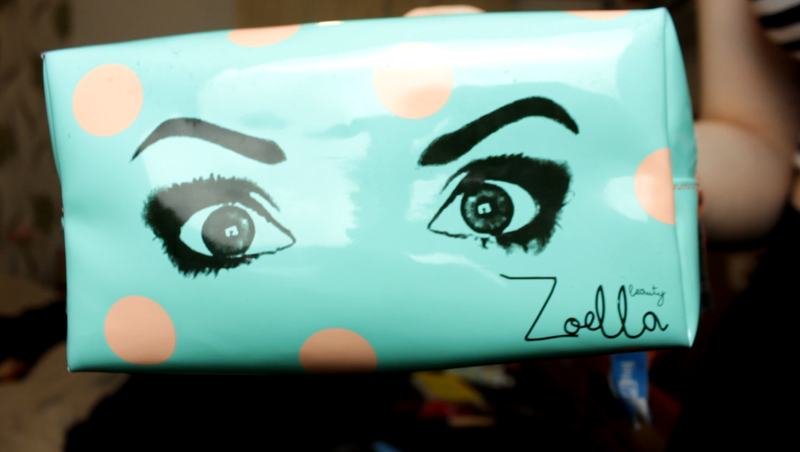 Most of you will probably know of the lovely beauty named Zoella, and she recently released her own range called 'Zoella Beauty', and I think I'm a tiny bit obsessed with this makeup bag oh my. The only point in this post is to show you the makeup bag, which is my current one and probably will be for quite a while, it's just gorgeous. The size is perfect, it's not too big and not too small, it's a washable material, the colours are super pretty and the design on it is just, wow.